Error: This computer is a member of a cluster. It must be removed from the database. 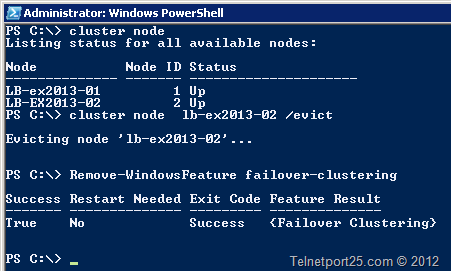 Prior to my attempting to remove Exchange I had removed all database copies that had been associated with the server. Luckily the solution was very simple. 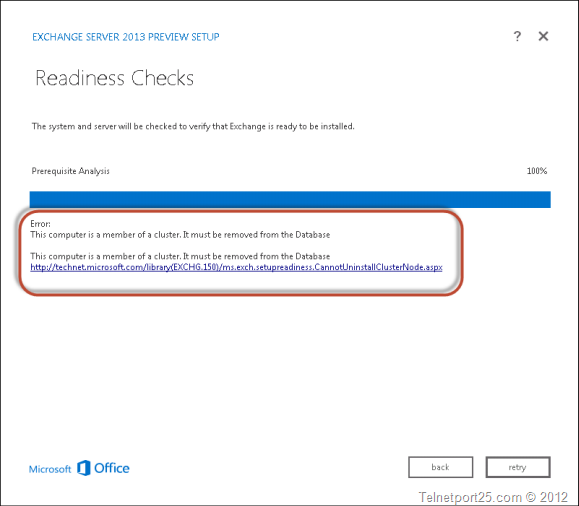 You can then close the PowerShell window and return to the Exchange 2013 RP setup process and click on the “Retry” button – and which should then result in the removal prerequisites completing correctly.